Oh your pictures are delightful! Thank you so much! We spent a few days in Asheville in June and LOVED the Biltmore at stayed at the Inn there……and I truly hope to cross off visiting Charleston off my Bucket List in March next year. I have a tea society sister who lives close who has been inviting us for the longest time – always seems a reason to not go and I SO want to. Your beautiful pictures only help this "need" along nicely! Just beautiful Tricia. 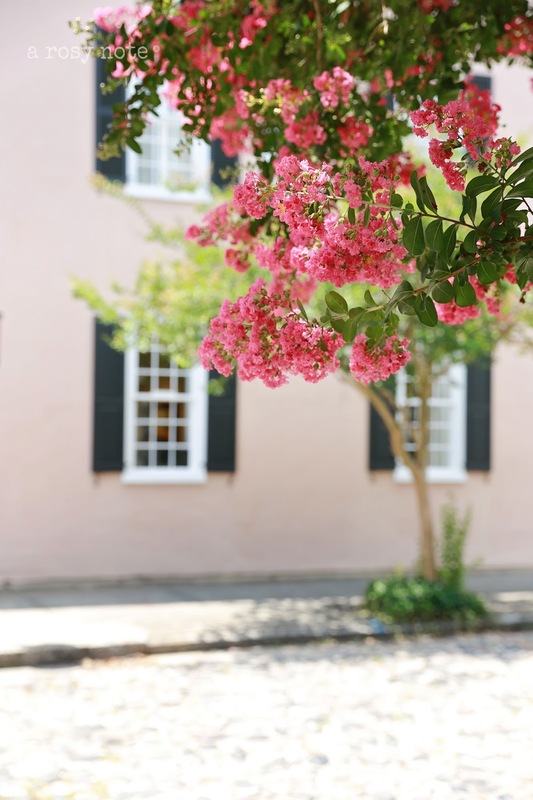 Charleston is one of my favorite places…it has been almost 18 years since my last visit:( Have a wonderful weekend. Oh my how beautiful Tricia! So glad you enjoyed your time away….your eyes sure had a feast! just beautiful, Tricia. 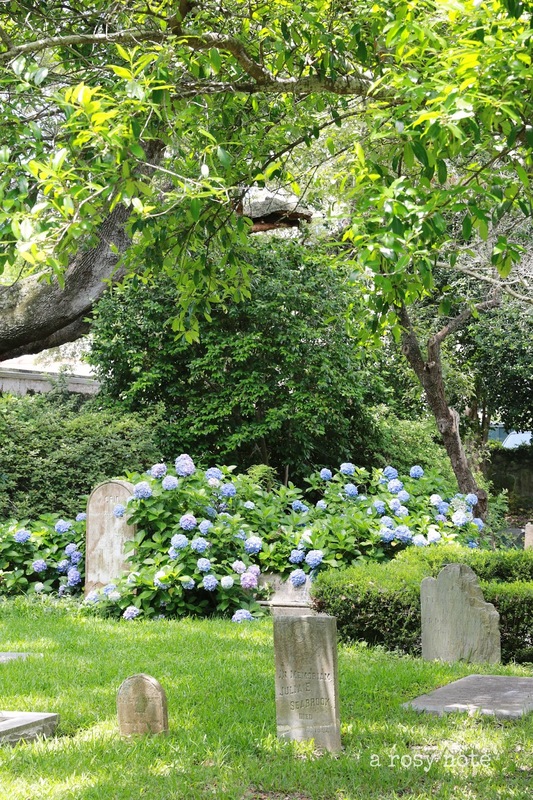 the hydrangeas in the cemetery are amazing! 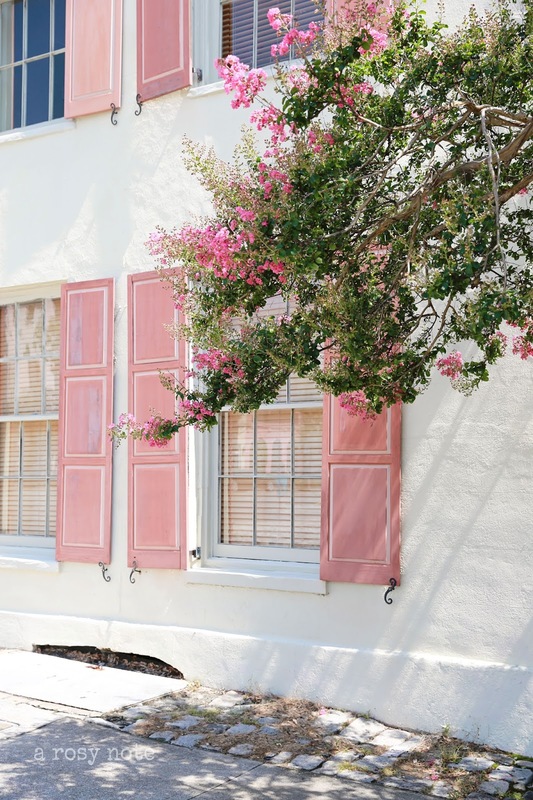 Lovely photos…I knew that you would love Charleston, somehow it seems like a perfect city for you, there is so much beauty there. 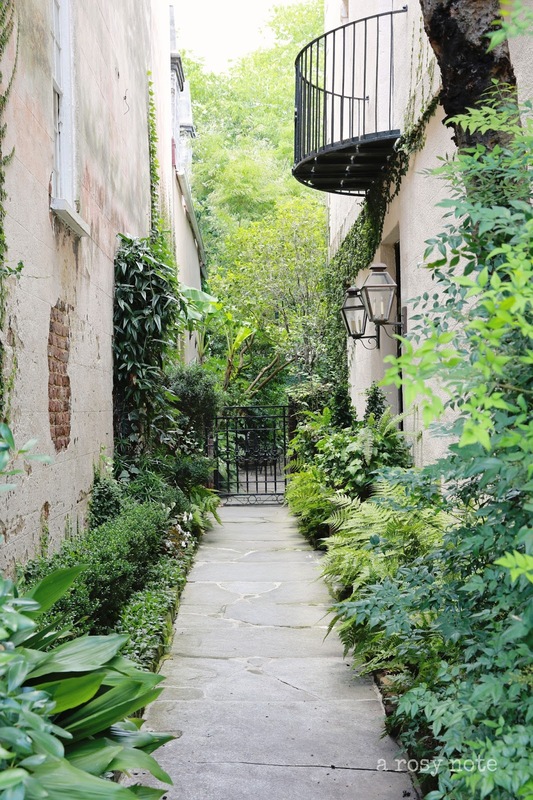 I was in Charleston many years ago, but I do remember the beauty of that city, the gardens, the homes, all so very beautiful. You have captured it beautifully. I yearn to go back again!! Such beautiful photos! I've been having Charleston as a place I want to visit in the back of my mind for some time, now the more so! Love it to see Charleston again;-)! It's a wonderful place to be, I can almost not imagine I visited Charleston last week. Now we are in Coconut Grove, Miami, next Tuesday we will go back to Europe. It is wonderful to be here in the USA!! Lovely photos! I've never been there, but would love to go! You did extremely well on your photo taking as usual! Such pretty photos Tricia! I love Ashville too! It's very Southern there, way more Southern than it is here for some reason and they are further north. No,you would never tire of it! We have lived here just over ten years and each time I go downtown it's like going there for the first time and I keep seeing different things all the time. I love the beauty and the peacefulness of the cemeteries too. I never want to leave Charleston. Es una belleza ese árbol florecido!! Abrazos y feliz fin de semana! Beautiful photos! 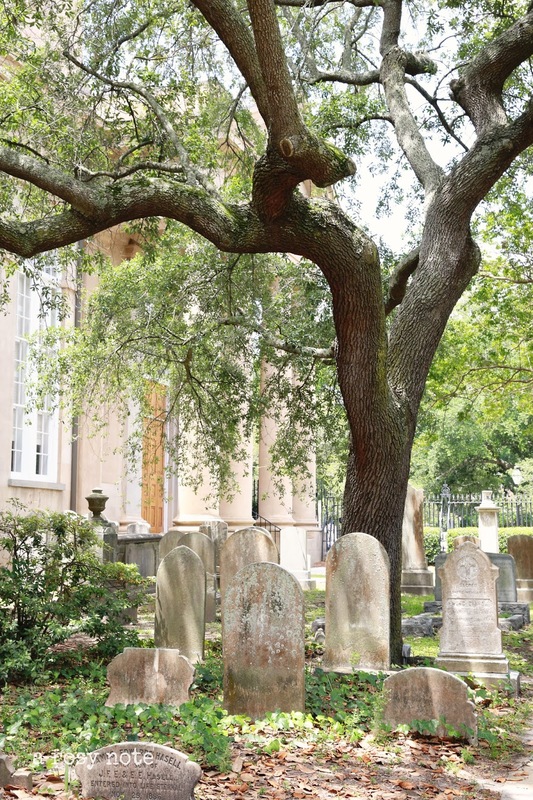 Even though I have been to South Carolina many times, I seem to have always missed Charleston. I know this trip was good for you! Just recently discovered your blog and totally have enjoyed catching up! What a nice town and so beautiful photos! Just beautiful, lovely lighting and such a great eye you have! Look at the color schemes on the buildings! 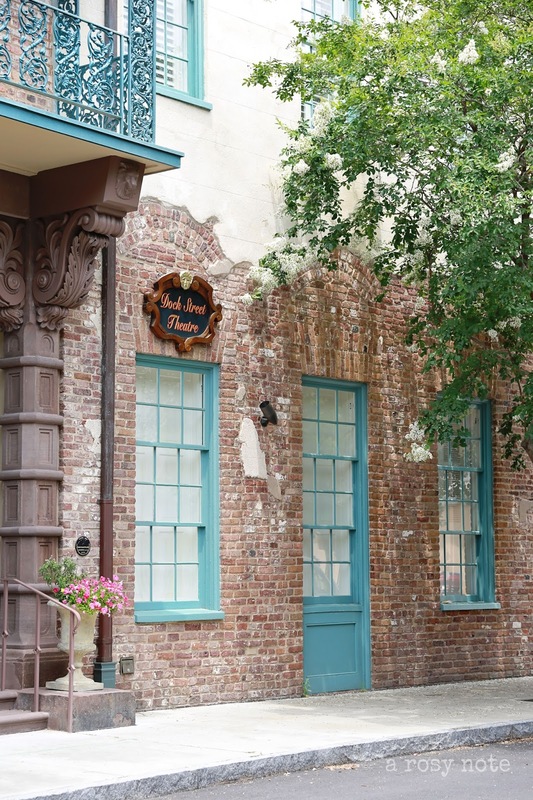 Love the vibrant colors, especially the last photo with the turquoise window frames on a brick building. So much history there. Tricia, your photographs are just beautiful. I am so glad that you had such a good time. Both of the Carolinas are really beautiful. Lovely photos. I lived near Asheville for 20 years, so I'd love to see what captured your eye there. I know what you mean about taking photos when you are travelling with others. It's sometimes difficult. Thanks for sharing these images. Oh how I hope one day to vacation to see the beautiful south- Charleston and the surrounding area. YOu captured such beauty in your photos Tricia. I'm so glad you had this wonderful experience and vacation with your family. What a koriske seeing your truly beautiful town. Beautiful photos. I love it. Welcome back! What glorious images of a beautiful old city. I would love to see Charleston someday! We are going later this month!! Cannot wait, I've never been!! I'm so happy to see a post from you! I hope you are feeling better. My kids lived in the Charlotte area for a couple of years, and while I visited them, I didn't get to Charleston. Loved seeing it through your lovely photos. Nice to hear from you again :), and thank you for your wonderful impressions of the South, sounds like you had a wonderful vacation! I miss you so much sweet Tricia! So happy to know you had such a wonderful vacation! 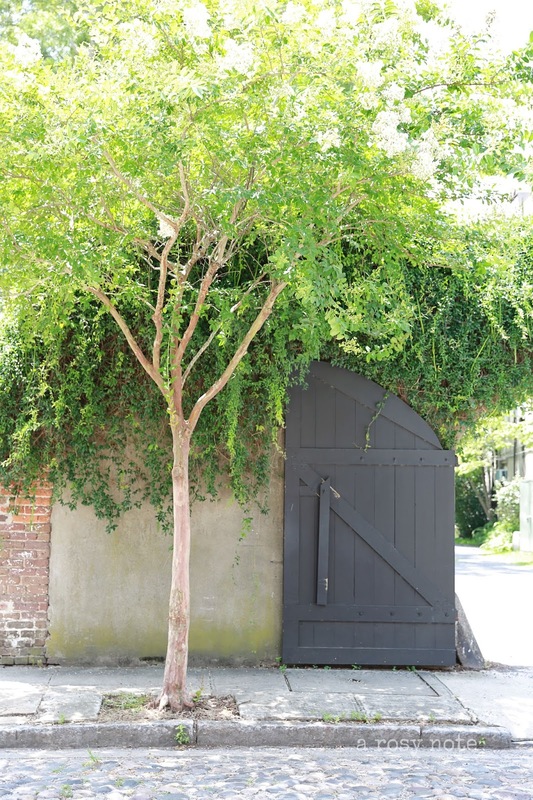 Charleston is so beautiful and i fell in love with all your beautiful capture! Just beautiful! Have a lovely merry happy day and love to you! 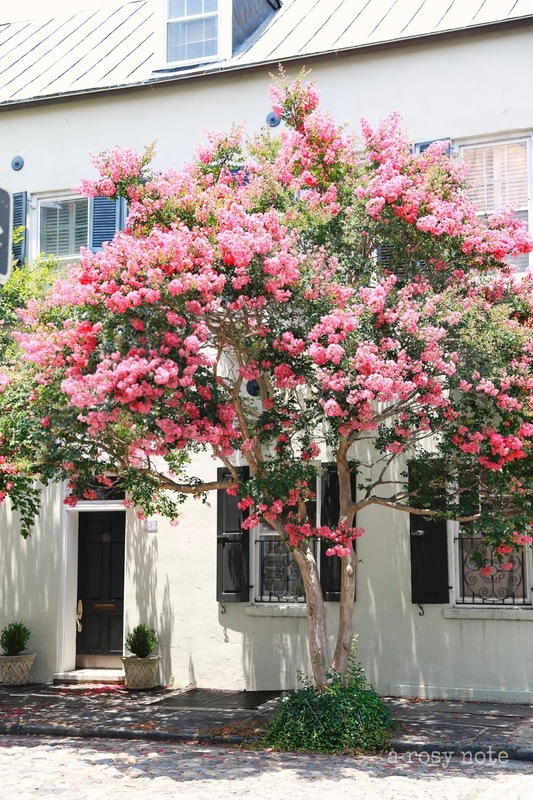 Your photos are beautiful and Charleston looks like a place I want to go visit. Glad you are enjoying your summer!! Your photos are absolutely gorgeous Tricia!!!!!! So glad to have you back. I find it hard to get back into blogging after a vacation also. Even though I can't wait to see what everyone has been up to, it seems like there is always 101 things to catch up on! LOL. Your photos are gorgeous. I have never been to the south but I can see it's charm in your photo's. they are amazing. Such a charming and colorful place. Pretty photos! Charleston is one of my favorite places. My husband and I honeymooned there almost 18 years ago, and our favorite vacation spot is an island about an hour south of the city. It's a magical place. I hope to see some photos of Asheville too! That's a fun town in a beautiful setting. Amazing photos.. Looks like a place I would love to visit someday..
Lovely colours. I know what you mean about taking photos when you are with other people. My immediate family are now so used to me taking several photos that they often spot some scenes that they know that I would like. I love the pink building. You went to two of my favorite cities to visit and shop. Great shots. 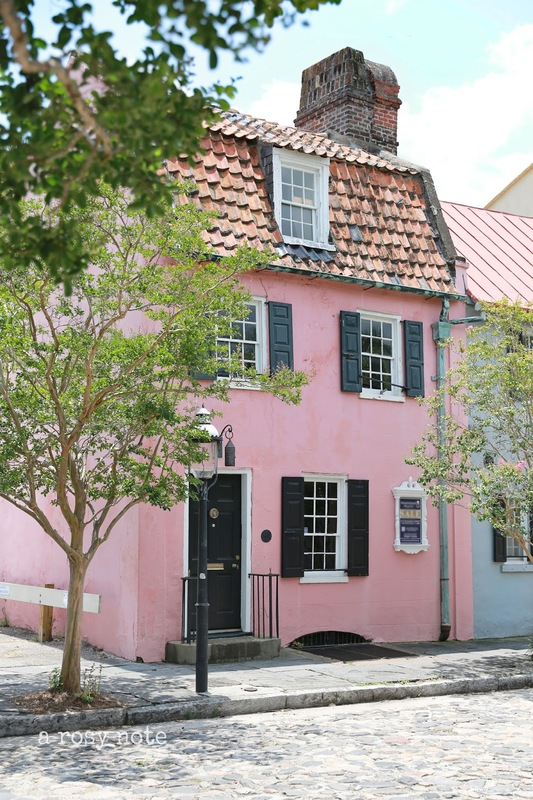 Beautiful photo's of Charleston! Never been to the US before, but this town will definitely be on my wish list! Such a charming place !! I'm coming from Kia and Zeno blog and I've just discovered you pretty blog, congratulations 🙂 !! so pretty! I'd love to visit North Carolina. The architecture is stunning!